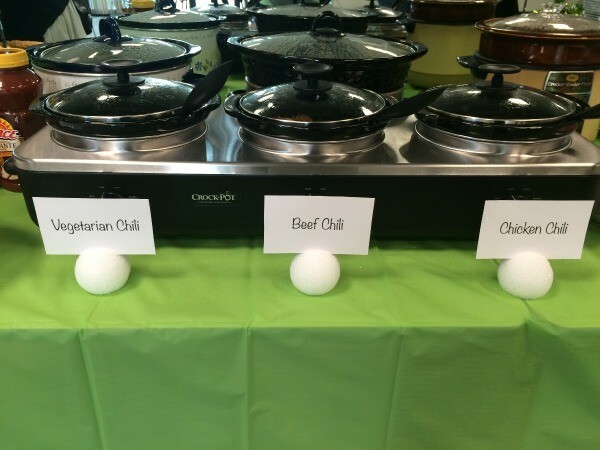 This is a guide about snowball label holders. 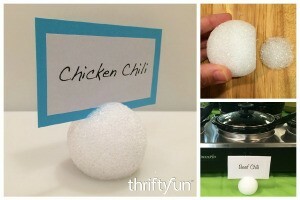 Simple place card or food label holders for a winter party can be made with styrofoam balls. These easy to make holders are perfect for using at a winter party. 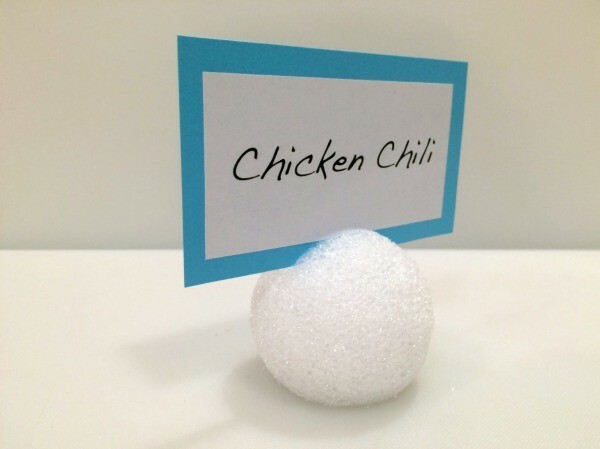 They can be used for place cards or to label food. 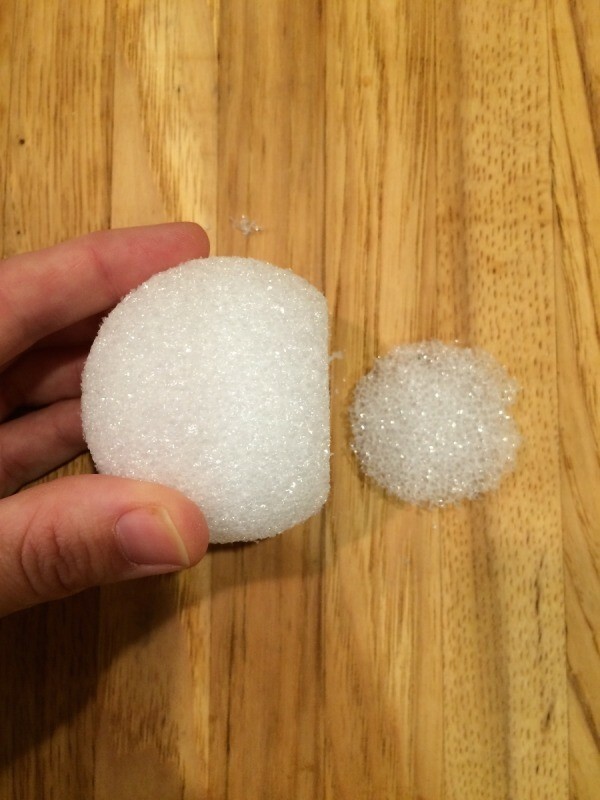 Carefully cut the bottom off of the Styrofoam ball. 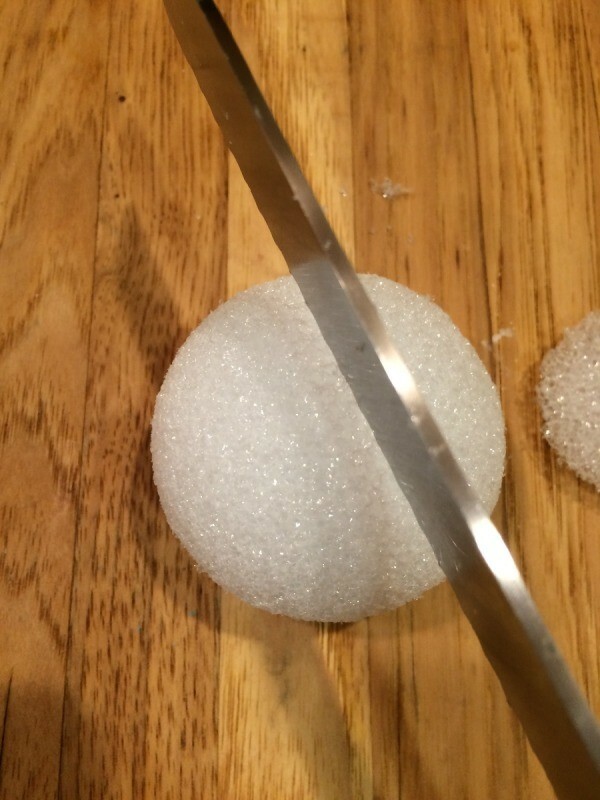 Set the ball down and cut a slit into the top. 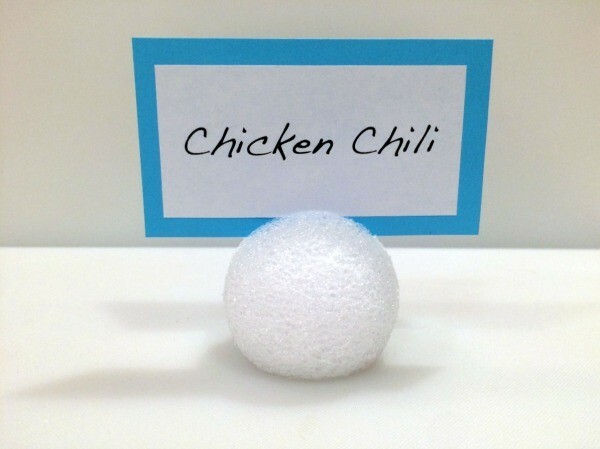 Make it deep enough to securely hold the label, but be careful to not cut the ball in half. Print and cut out the labels and insert them into the slits.